Problems with water come from a variety of sources. We are here to help when you are experiencing water from a broken pipe, overflowing drain, leaking appliance, or excess moisture from a recent flood. We’re ready 24 hours a day to provide emergency and other disaster restoration services. Contact us right away to begin restoring your homes condition and value. Every home has a series of pipes, fixtures, and appliances which transport, hold, and dispense water. Poor installation, extreme weather, and appliance malfunction are the most frequent instigators of a water crisis. “An ounce of prevention is worth a pound of cure.” Schedule a home inspection with AWDR, our skilled technicians are trained to spot potential issues and resolve existing water damage cases. Once a flooding occurs, the value of the property is on the line. Getting your home properly dried and repaired helps to avoid the need for future additional repairs and expenses. Restoring value to your home after suffering damage depends on getting the removal and restoration process done as quickly as possible (within 48 hours of its onset). Protecting your investment starts when you call us. Our emergency services team is available 24 hours a day. Corrosion, electrical problems, bacteria, mold and even foundation issues are all potential results of flood damage. These issues and more can be addressed by one of our trained and certified disaster restoration experts. 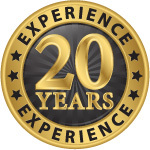 Over time, our water removal and damage restoration business has grown and developed. Out dated methods have been replaced with efficient, state of the art technology – without losing sight of the personal impact these events have on you and your family. When you need us, we are here! 24/7 and 365 days a year, we stand ready to provide your water extraction services when you are in need. For 24 Hour Emergency Service, contact us now!Our service professionals handle all emergent water situations and post-removal restoration jobs.